Hey! Play! Regulation Size Bocce Ball Set by Hey! Play! at Wander Soul. MPN: 80-472110. Hurry! Limited time offer. Offer valid only while supplies last. Originating in Italy, bocce ball is one of the oldest forms of lawn bowling, and is quickly becoming a favorite American outdoor game. The hey! play! Originating in Italy, bocce ball is one of the oldest forms of lawn bowling, and is quickly becoming a favorite American outdoor game. The hey! play! 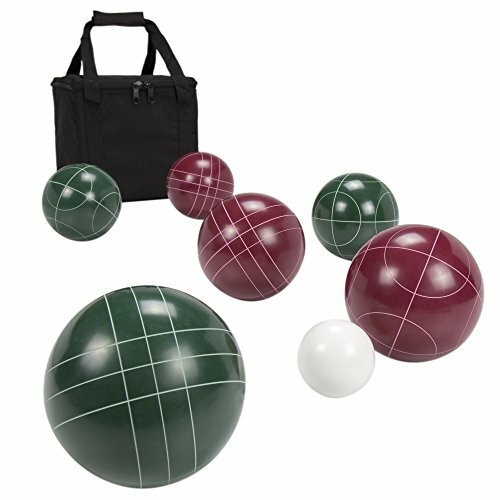 regulation size bocce ball set comes with four dark green and four dark Red bocce balls, one pallino, and includes a durable carrying case. Perfect for tailgating, parties, family reunions and more, the compact carrying case makes it easy to transport and perfect for gift-giving.